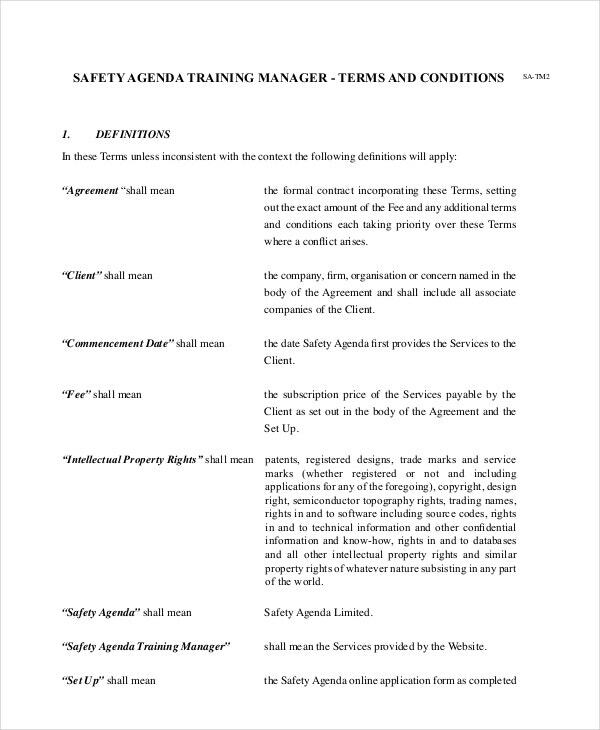 Safety agenda templates which can also be aptly called as safety meeting agenda templates provide detailed agenda items that are required for safety review meetings. In any industry, safety of the employees, equipment and factory is extremely essential. These templates present various items that are to be discussed related to safety issues and record action points as well. 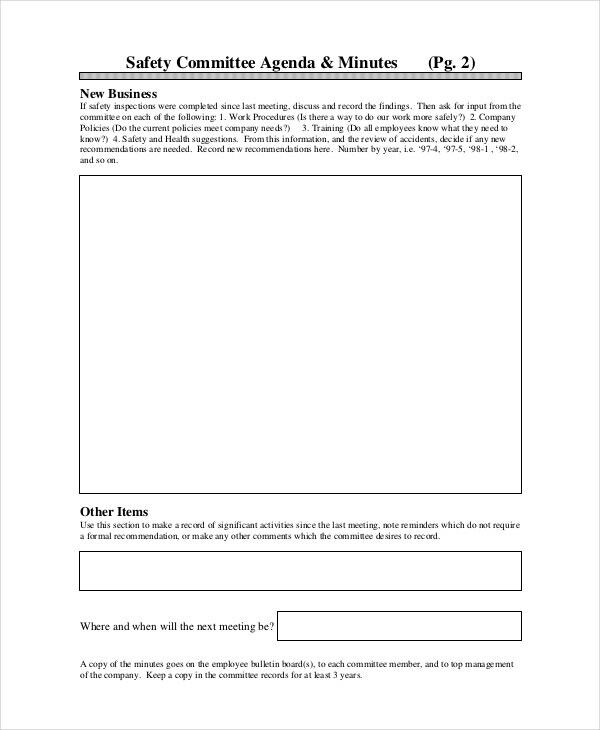 To know more about these templates, one can search Google using “HSC meeting agenda template”, “HSE meeting template” or “weekly agenda template”. 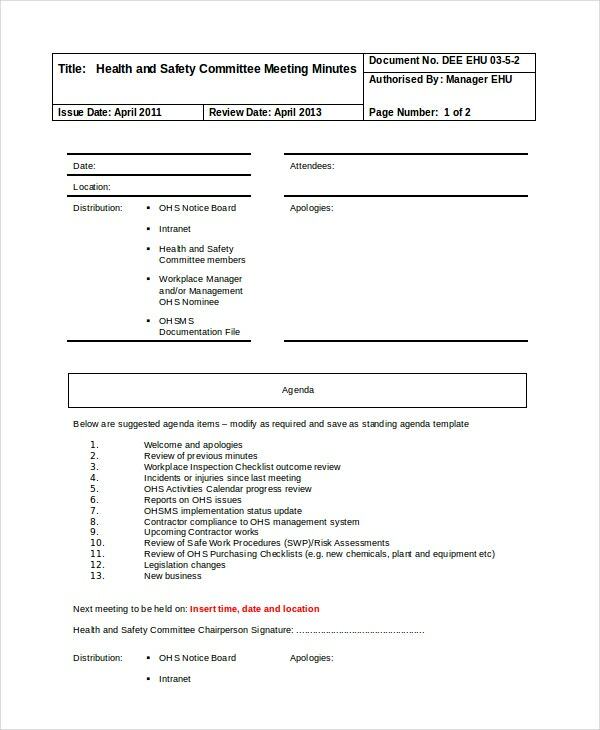 This safety committee agenda template presents various safety agenda items. It also presents the meeting date and time, members and guests, and the chairperson. It allows recording accidents, incidents, items not implemented, items resolved and next meeting date. 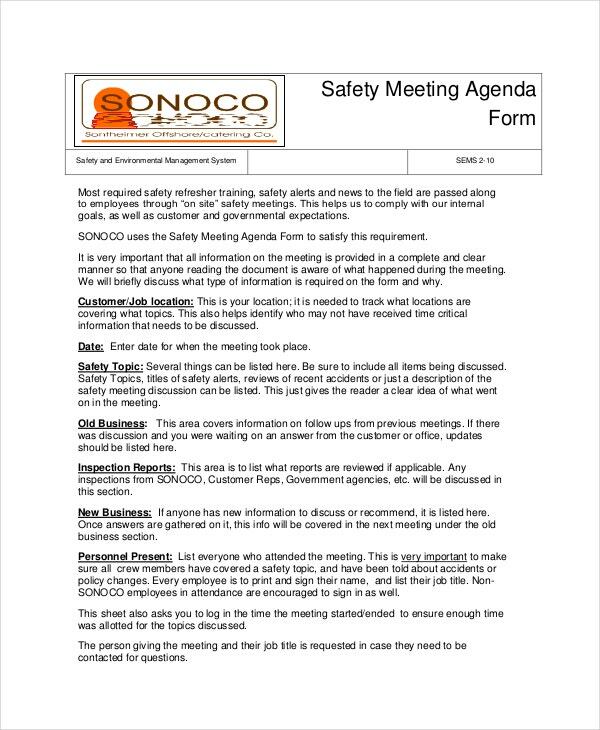 This safety meeting agenda template allows entering safety topic, the status of previous suggestions, inspection reports, and possibilities of implementing new safety measures. It also provides meeting date, members attended and location of the meeting. 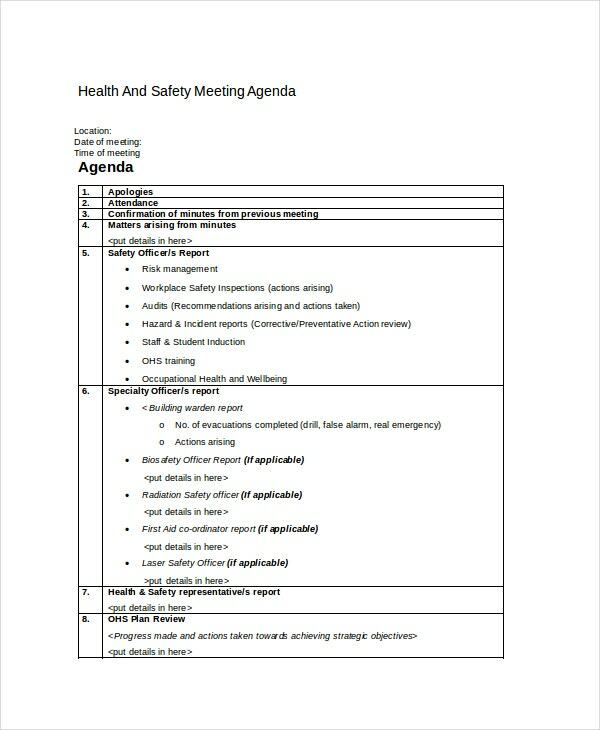 This health and safety meeting agenda template presents various items like safety officer’s report, specialty officer’s report, health and safety representative’s report and forthcoming meetings dates. It also presents attendees, location, date and time of the meeting. 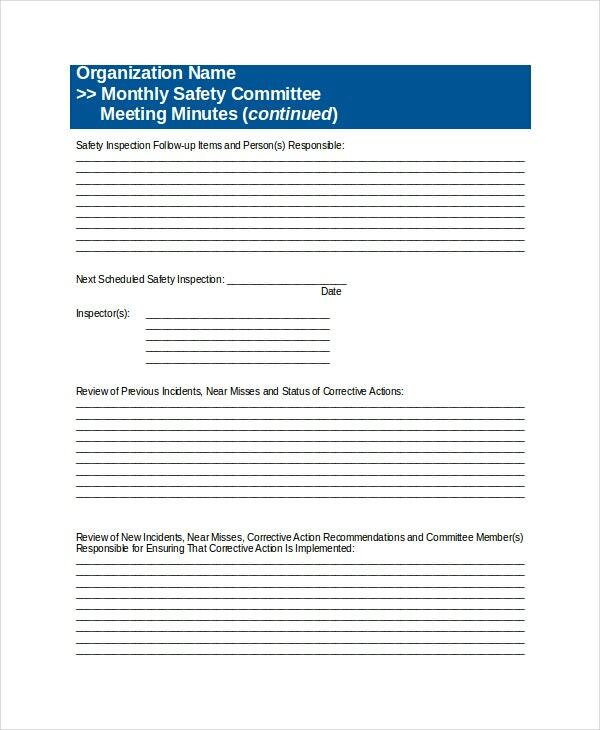 This safety agenda template presents the agenda items and minutes of the meeting which describe the points to be discussed as well as the action items. It also presents the meeting date, location, attendees and date of next meeting. 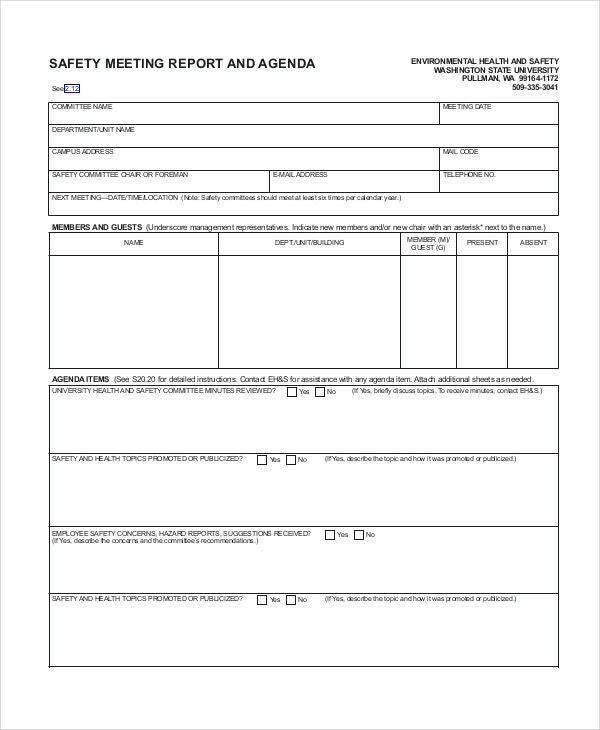 This safety agenda Word template format describes safety inspection follow-up items, persons assigned to them, date of next safety inspection, review of earlier incidents & corrective actions, review of new incidents & suggested corrective actions, employee suggestions and safety training details. > What is a Safety Agenda Template? In every industry, safety issues are rampant and one can minimize their occurrences by following some safety measures. These agenda templates help the organization to list out safety issues that might occur and present action points to mitigate them. They also help in recording the safety issues that have already happened and methods used to handle these situations. They enable in designating employees to oversee the measures that are described in action points and make them responsible. They also enable participation of the employees and give their suggestions for safety measures. To know more about their varieties, one can search Google using “HSE meeting agenda format” or “JHSC agenda”. > What are the Benefits of Safety Agenda Template? > How to Create an Effective Safety Agenda Template? In order to make a safety agenda meeting a routine, the organization should strive to create an effective safety agenda template. They should be prepared with extreme care and one should be conscious about the inclusion of a variety of agenda items. Since mitigating various safety issues is vital in creating an incident-free working environment, the participation of all sections of employees will help in building effective safety meeting agenda templates. The inclusion of follow-up actions and reviews are equally important and they should be recorded with precision. They should also mention about imparting training to the employees to handle various equipment. They help in making the safety agenda meeting a continuous process. 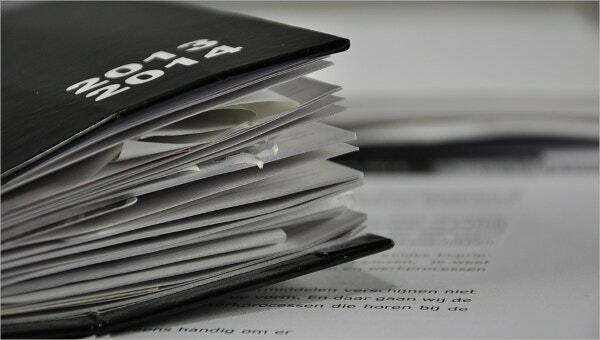 A Safety agenda template which can also be considered as a safety plan template enables the industry to take safety measures and help in preventing major accidents. There is a variety of templates available to suit every type of industry and one can make the best use of them. Since they allow customization, one can fine tune these templates and ensure to implement maximum safety measures.